The GuyNews.TV team has been investigating the Guardian’s murky financial affairs for weeks, we have their press office on speed dial. The Guardian’s editor Alan Rusbridger says he asked the GMG plc CEO to answer our questions. So far all we have got is a terse statement from GMG plc. 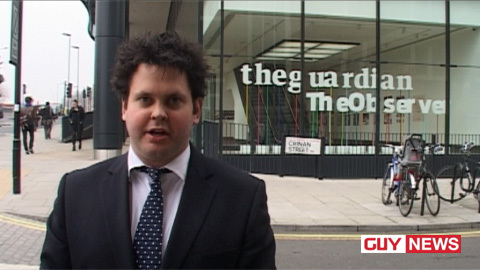 However the GuyNews.TV investigative team has spoken with insiders and literally got inside the Guardian. Our report will be going out exclusively to Guidogram subscribers at 5 p.m. today – the truth is a story which will shock Guardian readers.